With competitors like PokerStars and partypoker seemingly having infinite resources to pour into online poker, it takes innovation for a smaller operator like 888poker to keep pace, and the folks behind the blue eights have been hard at work on a couple of moves that could leave an impression on the online poker market. First off, 888poker has finally released its long-awaited software update titled "Poker 8." 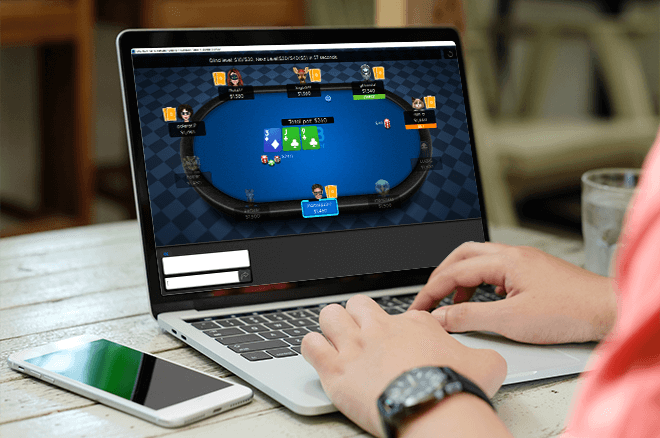 While there appear to have been some issues for some users as far as installing the software, 888poker reps have promised things will continue to improve and users will get the best experience they've ever had on the client. Second, a new, innovative tournament concept will be introduced starting March 24 that promises to offer the opportunity for players to potentially enjoy rake-free tournaments — either that, or there will be increasing guarantees to be reaped. Poker 8 has been in the works for months, if not years, and the much-hyped client has finally hit the worldwide market as of a few days ago. As reported by iGaming Business, the arrival of Poker 8 is only in its first stage and it will continue to roll out in more phases over the coming months. Right now, the biggest improvements have come in an aesthetic sense, with improved graphics and functionality making for an improved visual look for players. "We’re thrilled with the initial roll-out of our Poker 8 platform which includes a number of exciting and innovative new features to make the 888poker experience even more enjoyable," 888 Holdings Senior Vice President of B2C Guy Cohen said in a press release. However, there have apparently been some issues, so it's probably good news for players that more updates are forthcoming. While Poker Industry PRO's Nick Jones tested out the new client and reported "the experience...is much improved" ($) in look, feel and play, Jones noted he had issues downloading and installing the client over the old one. Furthermore, he wrote, not everyone who has managed to download it has been happy with it, as there has been less-than-enthusiastic reception in some social media channels. Still, company reps promise customer feedback will be a major factor in further phases of Poker 8, which will help it streamline and improve the customer experience. “Once the roll-out is complete, we believe our best-in-class platform will offer the most entertaining and engaging experience on the market," Cohen said. As for what players will find on that new client, there will be a creative new tournament option starting March 24 called "Rake or Break." According to PRO, beginning this Sunday, Rake or Break will offer players one of two benefits ($): either rake-free tournaments or bigger prize pools the following week. Here's how it works. Each tournament will start with a target prize pool set by the operator. However, this prize pool isn't a guarantee, but rather merely a target. If the tournament misses the target, everyone gets their rake back on every entry paid. If the tournament makes the target, the following week's tournament sees its guarantee increase by 10 percent. Rake or Break's debut will see the concept introduced at buy-ins ranging from $55 to $320. PRO credited Patrick Leonard with first coming up with the idea. The innovations from 888poker come at a time when the company could use a boost. While partypoker thrives through its aggressive spending and player-friendly promotions, and PokerStars holds steady, 888poker saw a sizable dip in poker revenues in 2018 compared to 2017. Poker 8 and Rake or Break demonstrate the operator is still striving for its market share, and it remains to be seen how further moves will affect the financials.